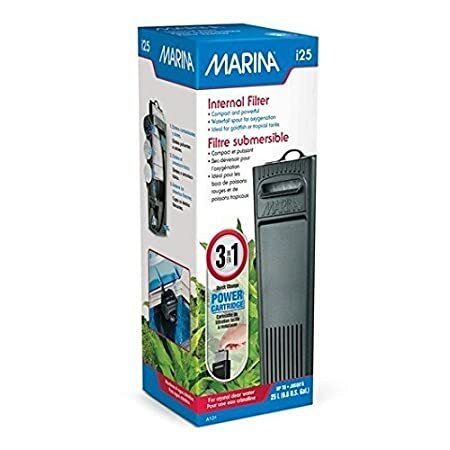 With multi-layer sponge filters, this corner filter combines physical and biochemical filtration for your fish and increases the oxygen solubility. 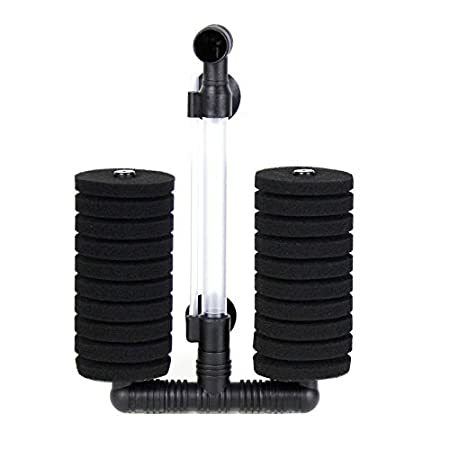 The top layer of white filter pad serves a mechanical filtration, and the black bio-sponge and ceramic rings work as a biochemical filtration and support colonization of beneficial bacteria. Quiet filtering system. Especially good for breeding small fish. 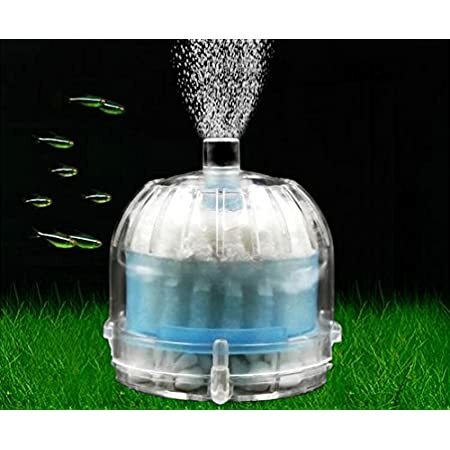 Efficiently remove toxic waste and maintain clean water for your fish. Easy to maintain. Just take out the sponge and rinse well when it becomes dirty. 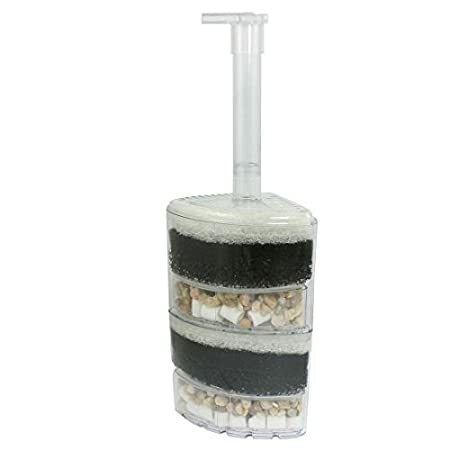 It’s complete set and includes all the filter components – gravel, ceramic, sponge, etc. 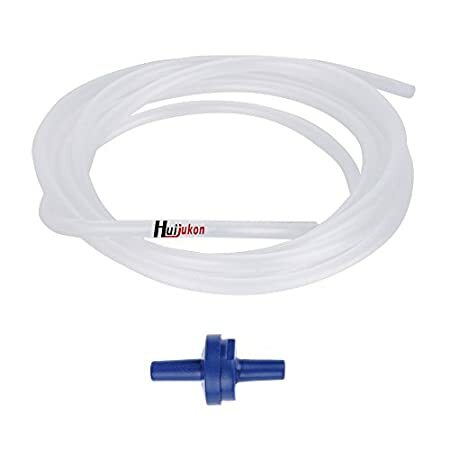 Weight:160g This product needs to be used with the air pump and the pump do not included. 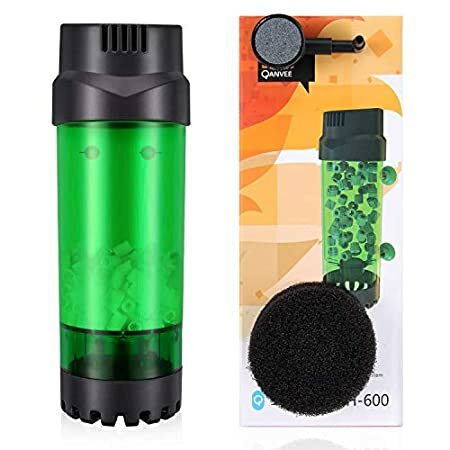 Sponge filter,Multi-layered water leprechaun is a built-in filter, environmentally friendly noise-free, can remove impurities in water and increase oxygen in water, is a multi-functional filter. 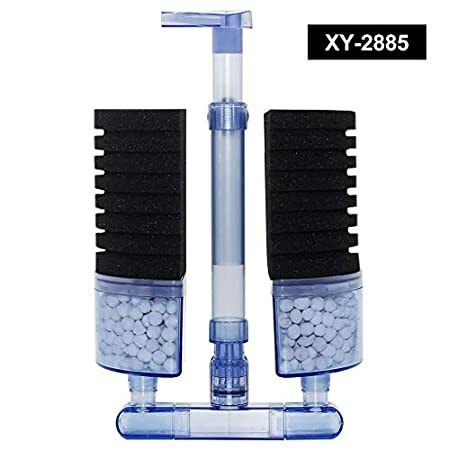 Tank filter,Corner multi-layer filter: is made of high hardness non-toxic plastic,Patented design appearance, harmless to all fish; Filter cotton: made of advanced sponge, environmental protection and durability;stone: artificial stone, with good filtering effect. Several layers of filter media, play a purifying water quality, and the oxygen port can rotate 360 degrees without dead ends. DaToo AQUARIUM FILTER: How to create a clean and healthy environment for our beloved fish? This is a concern for everyone who likes fish farming. But DaToo filter help you easily implement it. Strong horse-power, Waterfall type water flow, perfect work in 24 hours ensures a clean and healthy water environment. Now follow me to get to know DaToo Aquarium Filter. Let’s Go!! 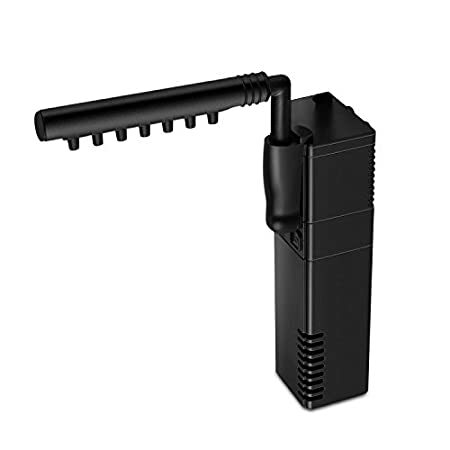 POWERFUL FILTERING: In the process of raising fish, due to feeding and fish excretion, our fish tank will inevitably produce some harmful impurities and odor. 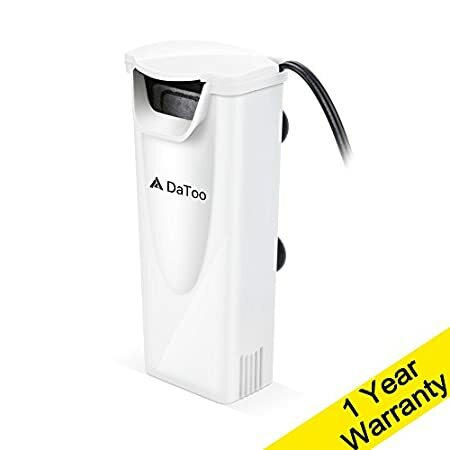 DaToo Filter uses enhanced filter Cartridge with activated carbon, can effectively absorb harmful impurities in the water and remove odors from the tank. Large filter space, extra filter materials can be added as needed, such as biochemical ball, carbon bag, etc. Filtration capacity than similar products increased by 2 to 3 times. 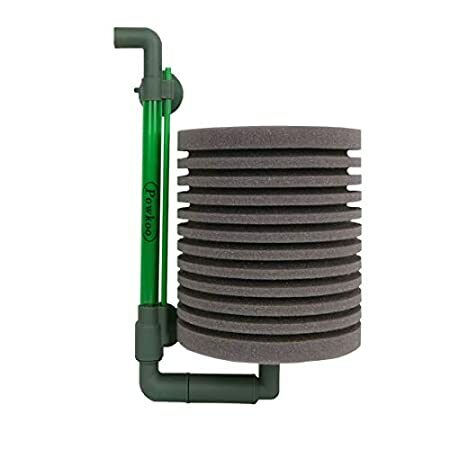 Sponge filters provide both mechanical and biological filtration — Works great,easy to clean (squeeze in tank water), keeps water cycled and clear. 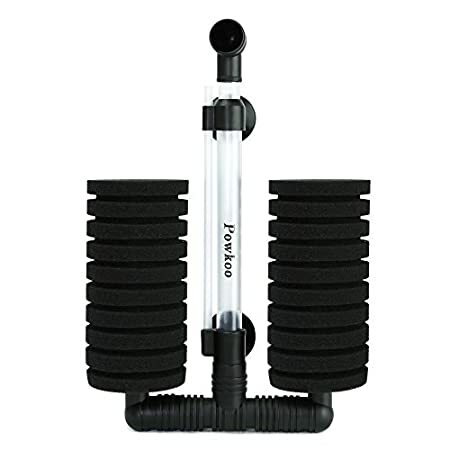 Sponge filters provide both mechanical and biological filtration — Simple, effective,easy to clean (squeeze in tank water), Working perfect getting your fish tank water super clean and clear. 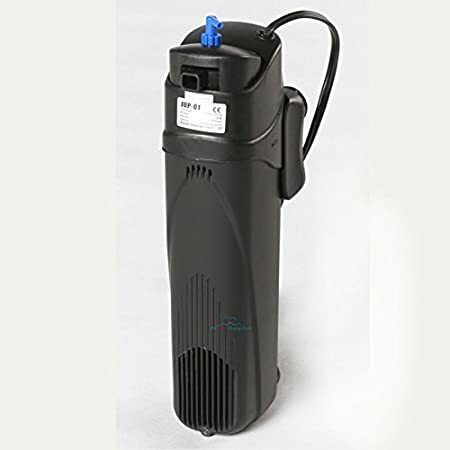 Simply hook up to an air pump and getting all the benefits of oxygen in the water and a super charged bio filter. 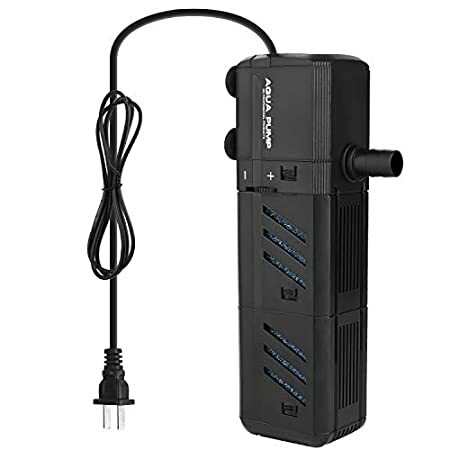 ✔IMPROVES WATER QUALITY BY REMOVING WATER IMPURITIES — Small Power Filter by SunGrow provides excellent chemical, mechanical & biological filtration using multimedia mechanism. It removes decaying organic matter, excess food, unsafe chemicals, free-floating particulate, and fish’s waste products from the water. 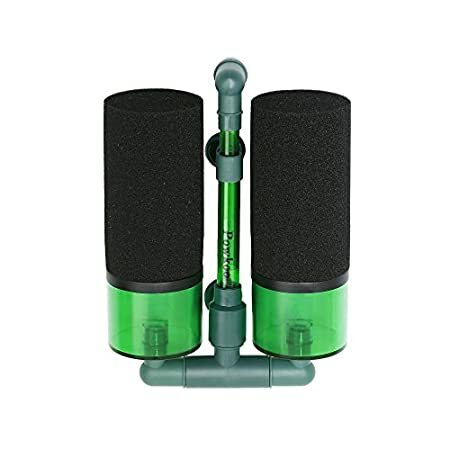 ✔WITH BIOCHEMICAL COTTON FILTER — This hang on the back filter has sponge where water passes through its pores and can efficiently trap debris. Aerobic bacteria can also propagate in its pore’s large surface area. As the nitrifying bacteria cultivate, it naturally gives biological filtration in your tank. 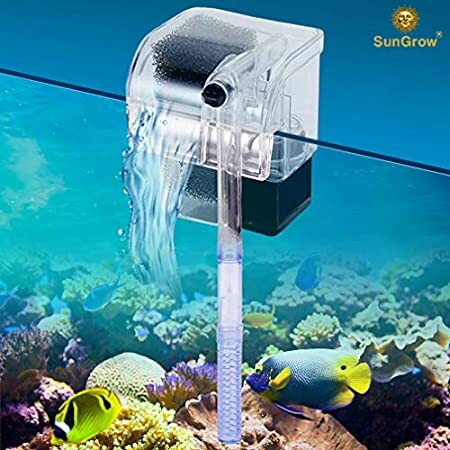 ✔PROMOTES BETTER WATER CIRCULATION — This premium quality aquarium accessory prevents the build-up of ammonia and nitrates. 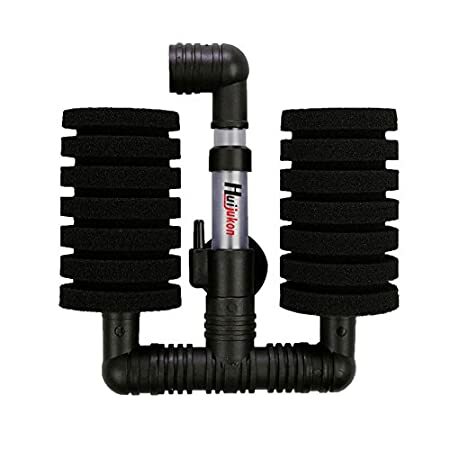 It increases oxygen and helps ventilate the water, so your fish can breathe.